Following the launch of the residential houses at Merchant Terrace, we are pleased to announce the market launch of our commercial unit. 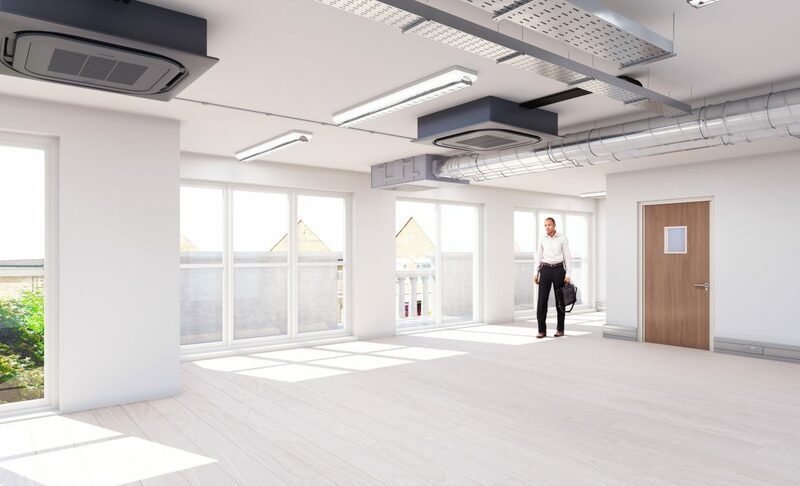 Positioned directly off King Street and opposite the entrance to the extensive 13 hectare Ravenscourt Park, between Chiswick and Hammersmith, the new build office will be available for pre-sale and pre-let, with a total square footage across four floors of 5,597 sq ft. The property is an end-of-terrace new build office building, with bright, open-plan floors. Features include exposed ceiling mounted air-conditioning and heating, pendant style lighting, and white oak floors. There is also a lift to access all floors. Local bars, shopping, and restaurants are in abundance, while the chic boutiques of Chiswick High Road – and the Hammersmith Apollo are also close by. Occupants will also enjoy excellent transport links – Ravenscourt Park, Stamford Brook and Hammersmith underground stations (District, Hammersmith & City and Piccadilly lines) are all within a half mile radius and the A4 gives rapid access into Central London, out to Heathrow airport, and the West. A full breakdown on the current landscape for SME developers across Funding, Planning and Resourcing.